Boeing issued a special bulletin Wednesday addressing a sensor problem flagged by Indonesian safety officials investigating the crash of a Lion Air 737 that killed 189 people last week. The planemaker said local aviation officials believed pilots may have been given wrong information by the plane’s automated systems before the fatal crash. 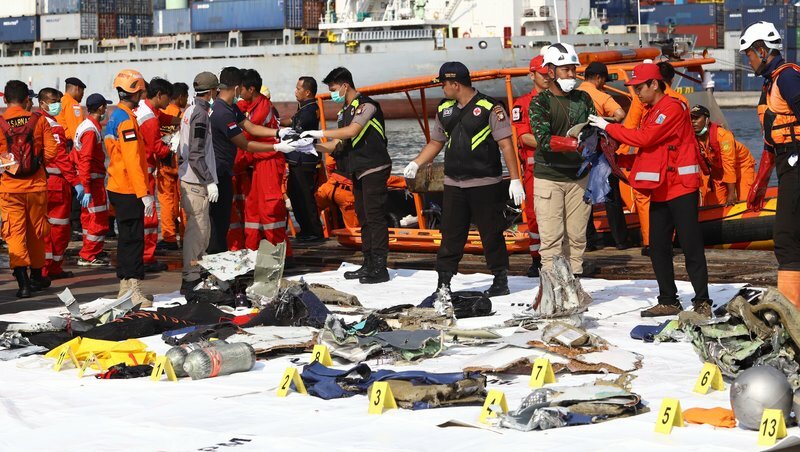 “The Indonesian National Transportation Safety Committee has indicated that Lion Air flight 610 experienced erroneous input from one of its AOA (Angle of Attack) sensors,” the warning said. Search teams have filled some 186 body bags with remains found after the devastating crash, but only 44 victims have been identified so far. Divers have recovered one of the two “black boxes”the flight data recorderbut are still searching for the cockpit voice recorder, in the hope it will shed more light on the cause of the disaster.